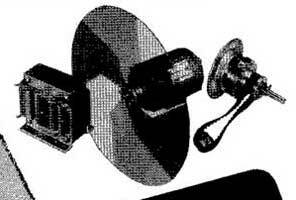 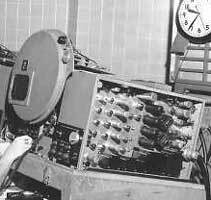 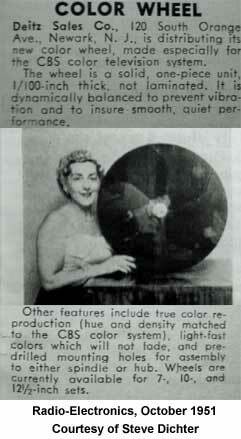 CBS 12CC2 (1951). 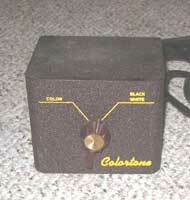 The image on the screen was generated by the color bar generator made by the museum. 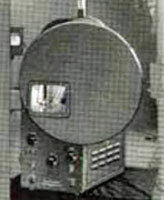 Drum receiver for the CBS field sequential system. 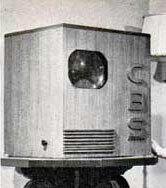 The unit looks too crude to be a CBS prototype. 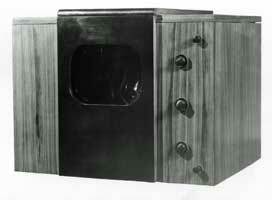 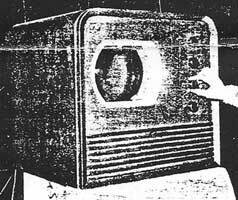 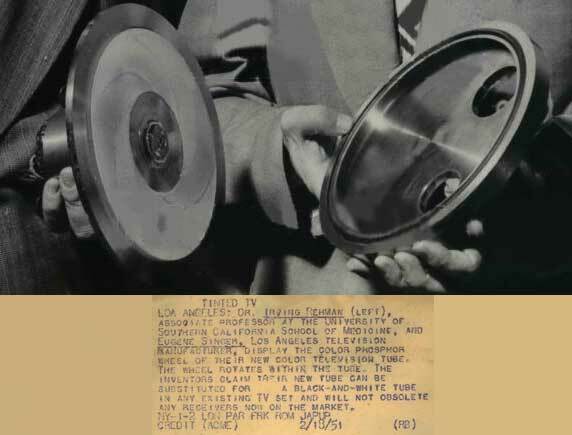 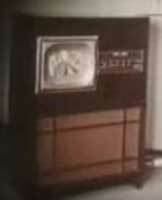 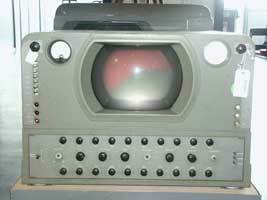 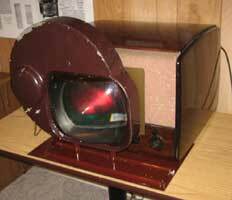 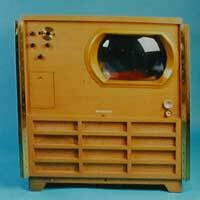 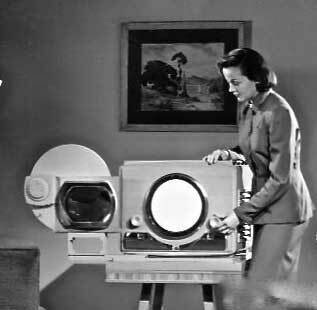 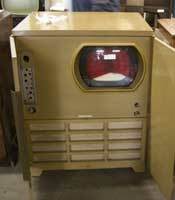 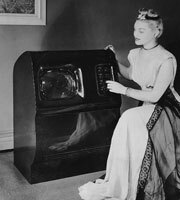 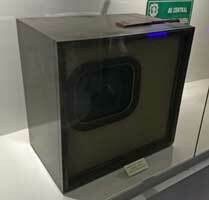 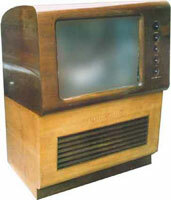 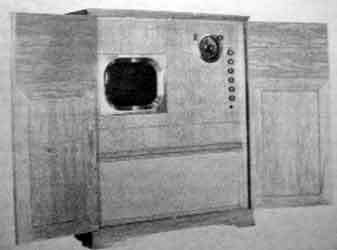 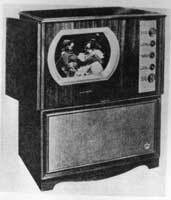 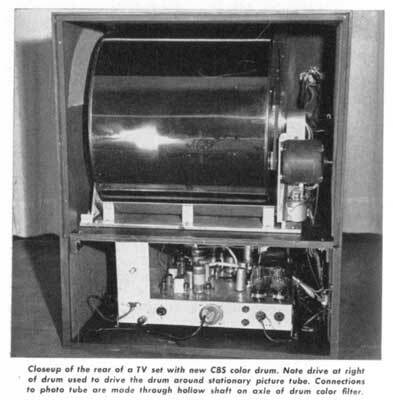 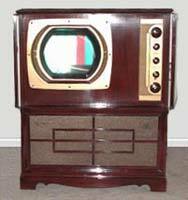 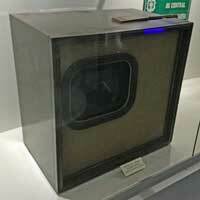 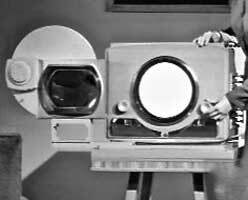 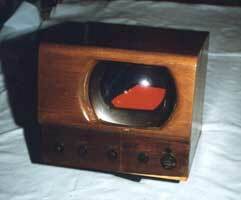 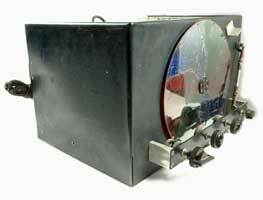 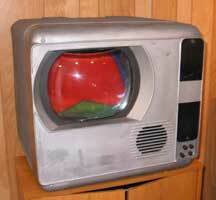 CBS drum receiver, using 17 inch rectangular CRT, was demonstrated in December of 1950. 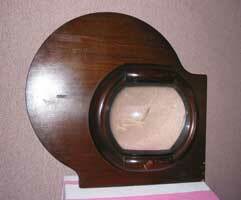 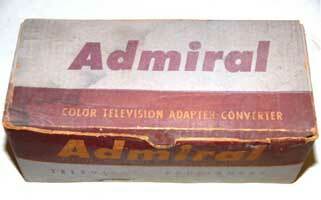 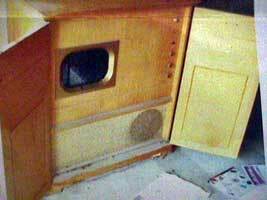 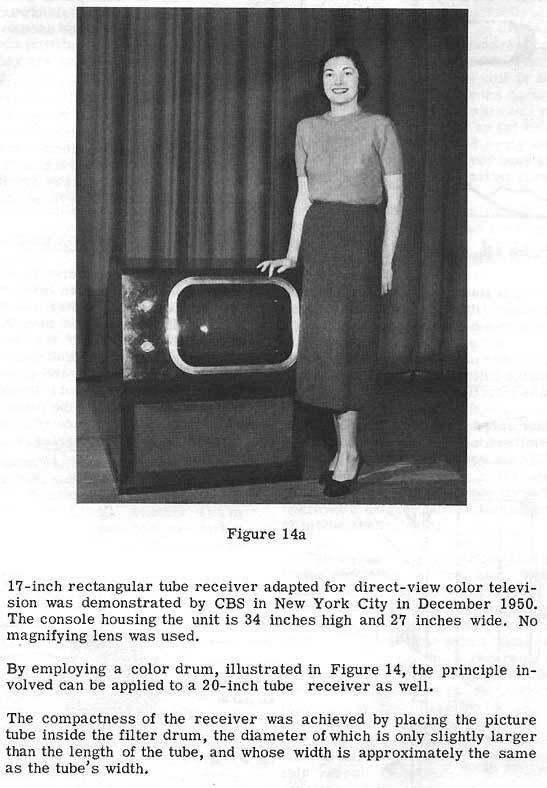 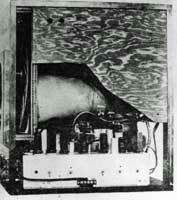 The entire receiver was 34 inches high and 27 inches wide. 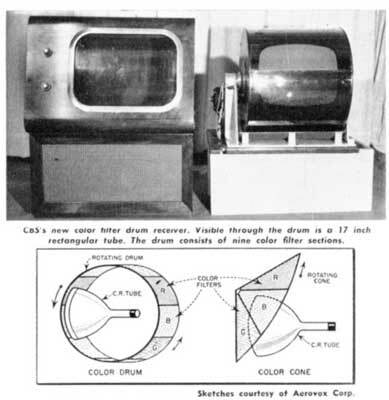 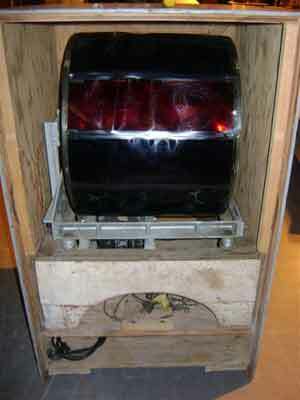 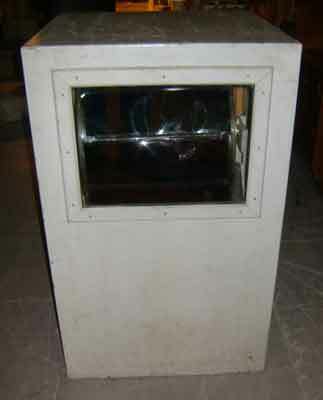 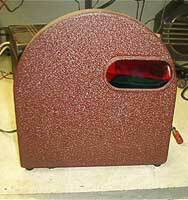 The compactness of the receiver was accomplished by placing the CRT inside the drum. 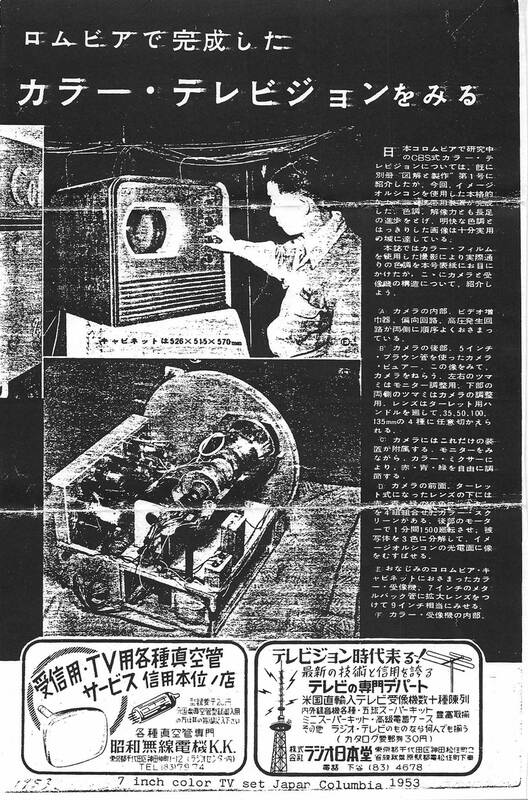 Here is a New York Times article, courtesy of Phil Dudley.